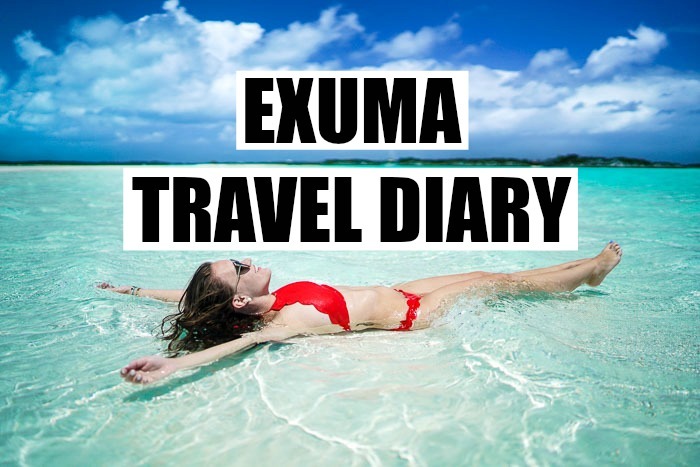 Super excited to share my travel diary from Exuma with you guys today!! You can check it out below or subscribe HERE to never miss a new video! I had the hardest time finding a good song for this video... I mean it really had to be perfect because the music really does change the mood and how you view the video! I was up till 1am editing and making it perfect, I had it down and then uploaded it to find that the owner of the song blocked playback in the United States. Ugh. I'll have to find a place to upload it one day for you guys... the other song is SO great. This one is good too but it just wasn't as perfect. Either way, I hope you enjoy it!! Be sure to check out all my Exuma content HERE. I love your travel videos so much! Is this all filmed with a gopro? Ummm can I go to Exuma now please?! Also LOL love the end of this! This video is amazing, and the scenery there is STUNNING! It looks like there was so much fun stuff to do! I'm definitely adding this to my bucket travel list! What an amazing trip! I haven't been to the Bahamas in quite some time. Exuma looks absolutely beautiful though. How could you have a bad trip with water like that! Great video!!! My husband and I actually wanted to go there for our 5 year anniversary but doubt that'll end up happening lol Looks like so much fun!